If you are the 'Ludham Classic Car and Gardens Opening' Event organiser and you would like to update or amend the details shown, please contact us. Thank you. When is the next Ludham Classic Car and Gardens Opening? Sunday 23rd June, 2019. Ludham Classic Car and Gardens Opening is listed under June 2019 Events. Although we try to keep the information for this event as up to date as possible, we cannot guarantee that things haven't changed at the last minute, and we haven't been informed. Therefore, please contact the 'Ludham Classic Car and Gardens Opening' event holder directly to confirm all details (especially event name, dates and location) before setting off to Ludham. 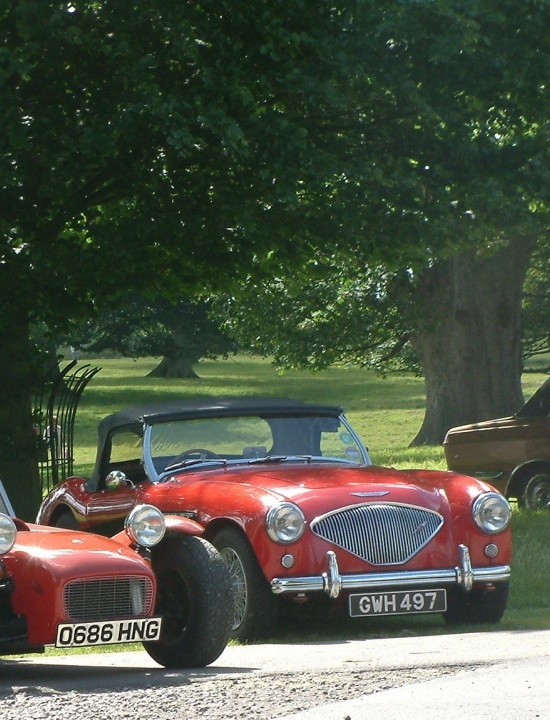 The Ludham Classic Car and Gardens Opening is planned to take place at Ludham, Norfolk Broads, Sunday 23rd June, 2019. This is a fantastic day out for all the family especially the wives! Stunning river gardens and boat trips from one river garden to the others . This event is held every other year and this year money raised will go to Ludham Church - in 2015 we raised more than £9,000. The cars and bikes are a mixture of British and American - classic bikes are more then welcome. We have music, a hog roast and cream teas. Our local pub is open all day for breakfasts and all day meals . This day out will be the best you will have this season. We also have our 3 wherries moored on Womack Water were most of the gardens back onto . Please email me (vernonenever@hotmail.co.uk) to secure your place with the classic vehicles.